Each month these days seem to involve another buying of a present or indeed presents. Going out and buying the presents is one thing but knowing what to buy is an entirely different matter. With so many of us having so much stuff already I have said I welcome any present which I can eat or drink. With this in mind I was delighted to have the opportunity to look through the Father's Day hampers from Hamper.com. There's plenty to choose from for your Father's Day hamper. What I liked about the selection is there is a range of hampers starting at £25 going to up to £199. These feature wine, beer, cheese, biscuits and lots of other goodies. There's even one full of chocolate bars! Regular readers will know that we have featured real ale seasonal round-ups in the past. 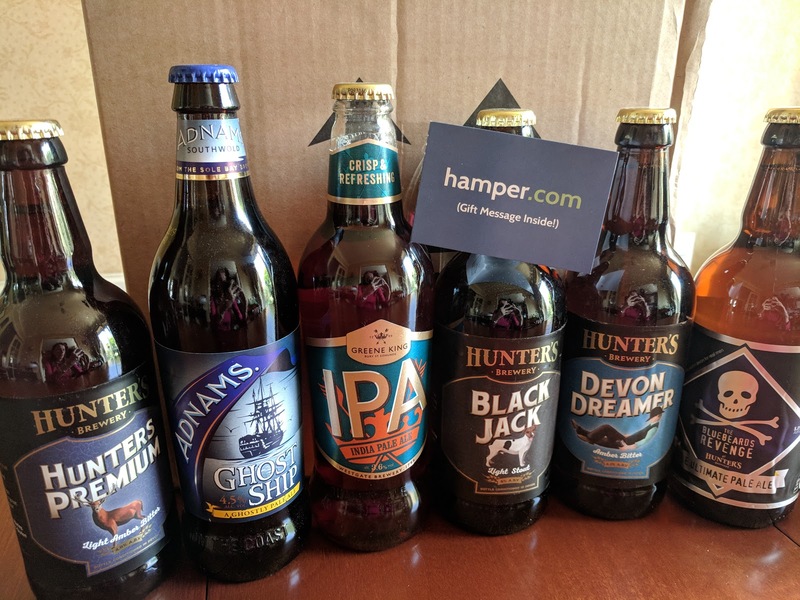 Both Mr JibberJabber and Father JibberJabber are members of the Campaign for Real Ale (Camra) so I knew picking a hamper with a good presence of beer in it would be winner. There are a number of options available but the one I thought would go down best was the Real Ale and Craft Beer Selection. The hamper comes in a very sturdy box and when you open it up there's a gift card which you personalise yourself with a message. This selection has twelve bottles of 6 different beers. They come from a range of breweries with a variety of styles and strengths. A great choice of beers for any occasion or food pairing. The price of this hamper is £59. As with all the hampers this comes with free UK delivery which is very handy as 12 bottles of beer comes in at quite a weight! If you want to see more about the hamper have a look at my unboxing video. I was sent the hamper for review purposes.